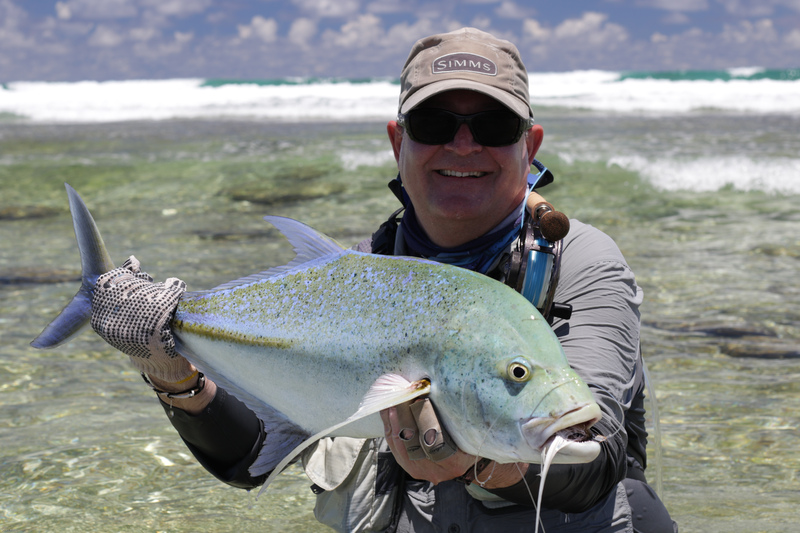 Great weather and big spring tides often bode well for some exciting surf walks along “The Wall’s” drop-off. 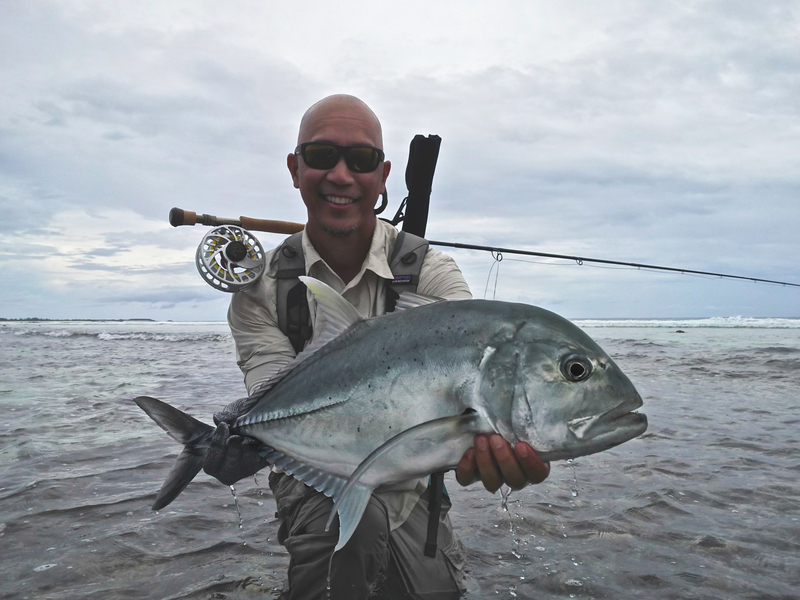 There is nothing more exhilarating than standing on a crystal clear edge that falls to over a thousand meters while anticipating the pushing tide and whatever could follow the flood. 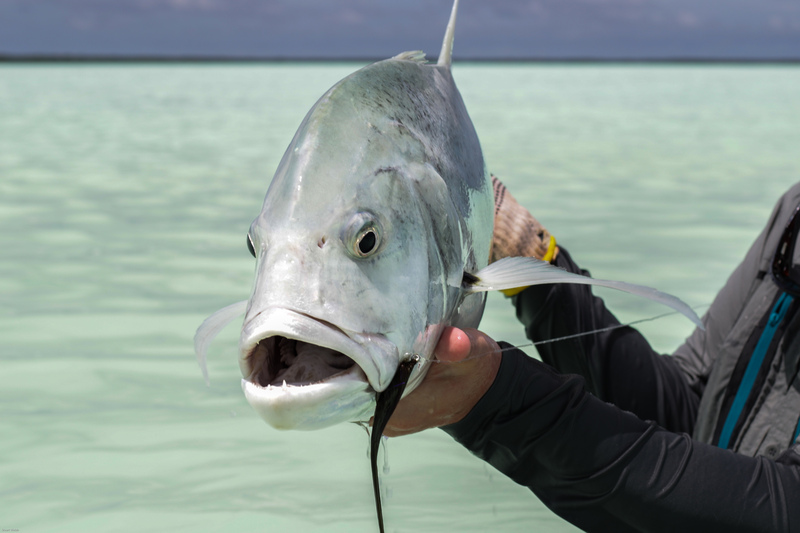 The sensation of cooler water around your bootlaces means it’s about to begin and the predators are judging the depth before they pop onto the flats to patrol for their next meal. 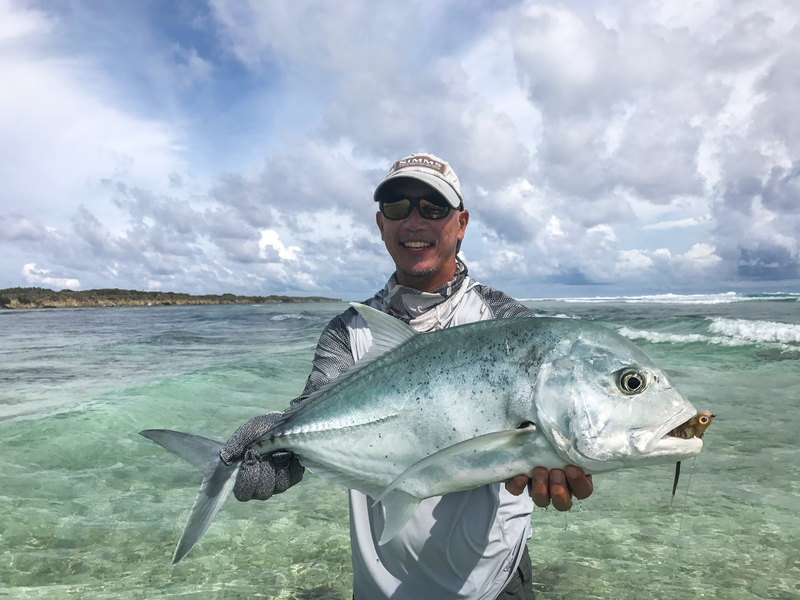 This week saw four fly fishing guests and two snorkelers who made the journey to experience what has to be some of the best in the world. 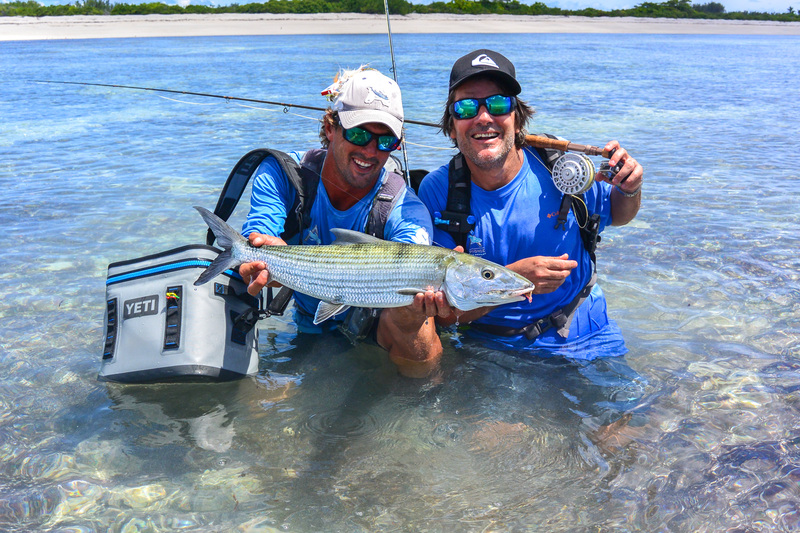 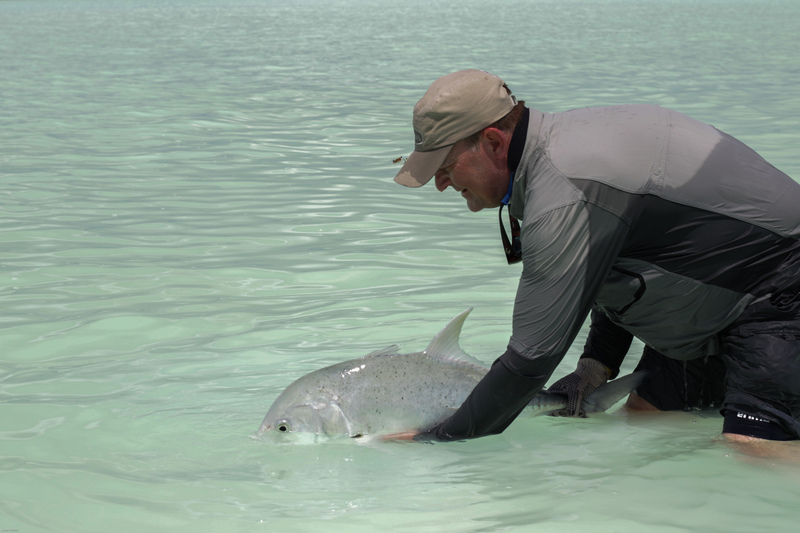 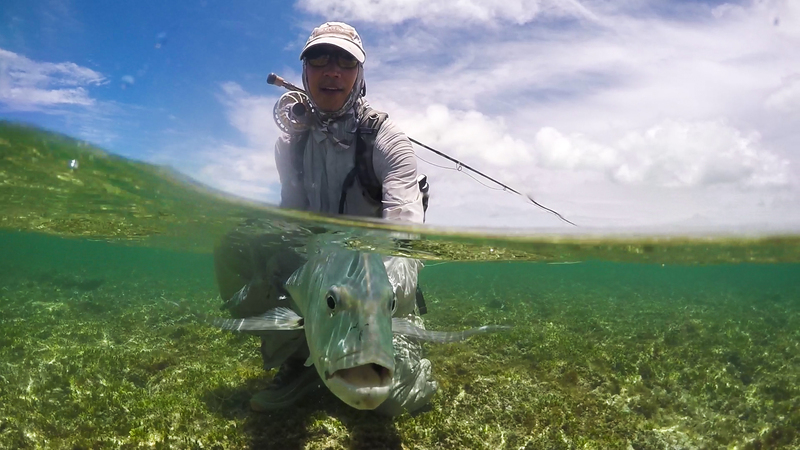 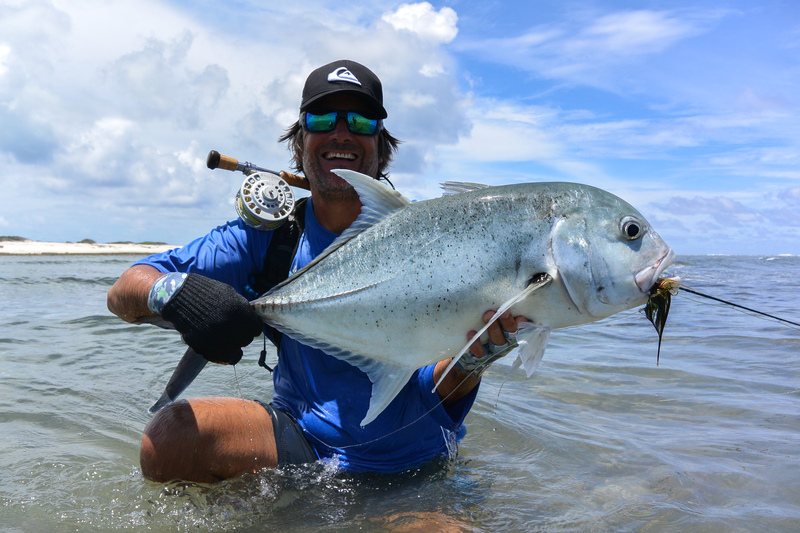 The skinny water Bonefishing inside the lagoon is simply out of this world and often the reason why GT’s venture up into the shallows. 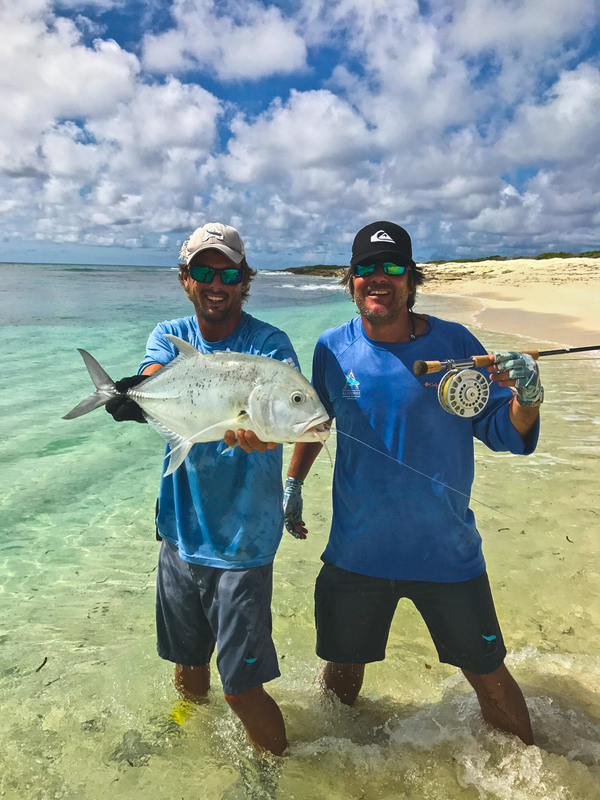 These predators were around in good numbers with a total of 28 GT’s caught for the week, with an average of seven per angler. 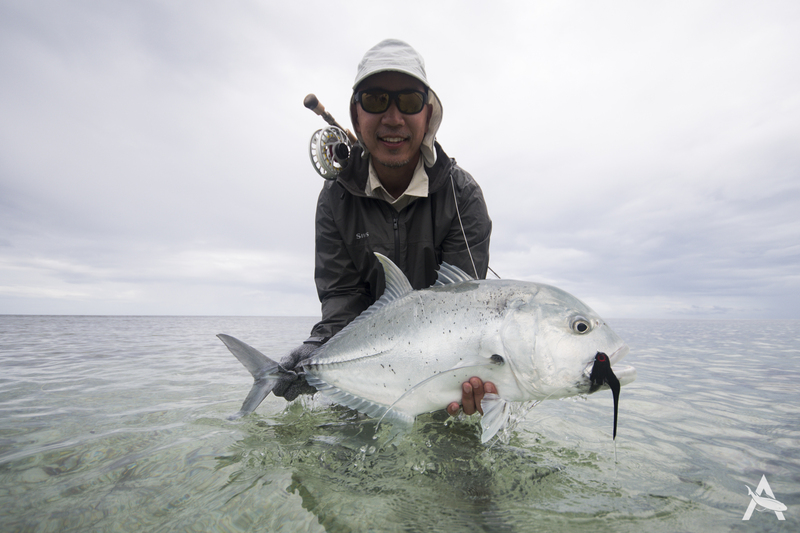 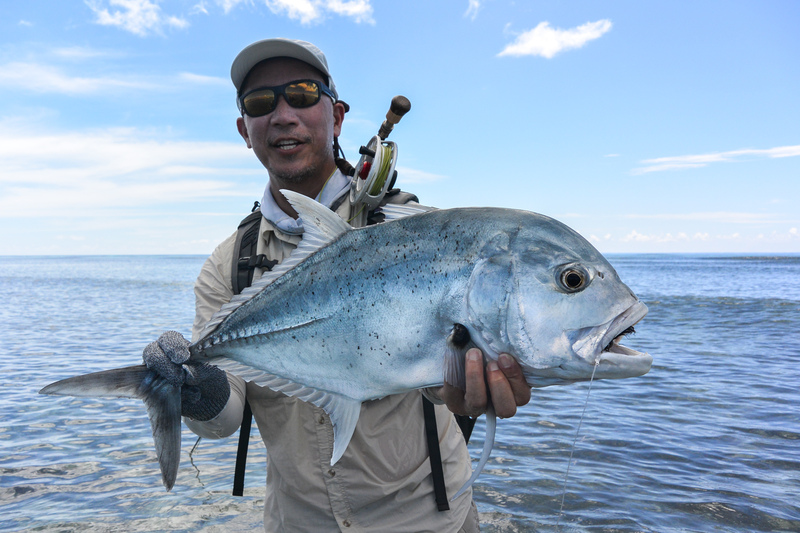 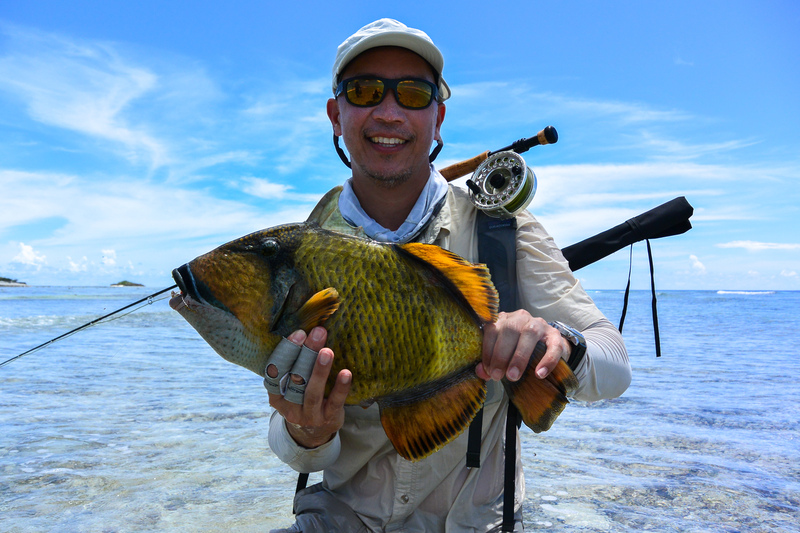 Joern H and Maria M kicked off their three-week stay by landing seven GT’s in a session while fishing “The Mouth”. 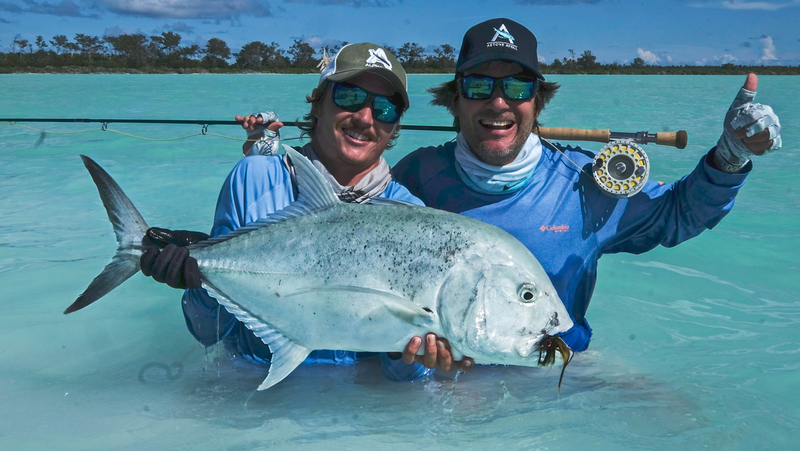 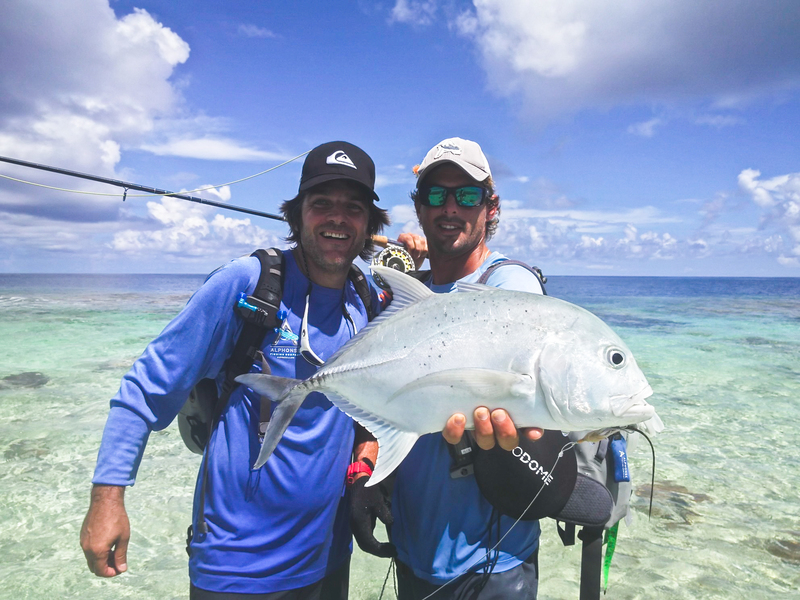 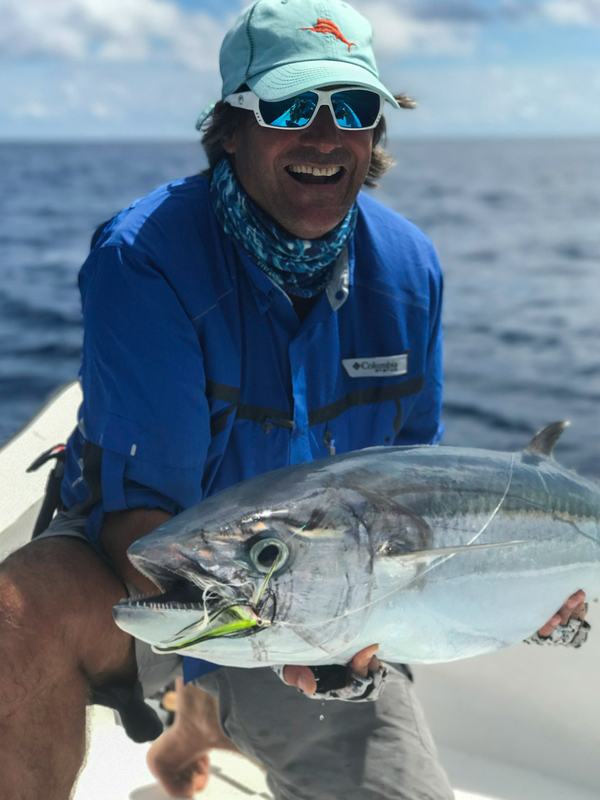 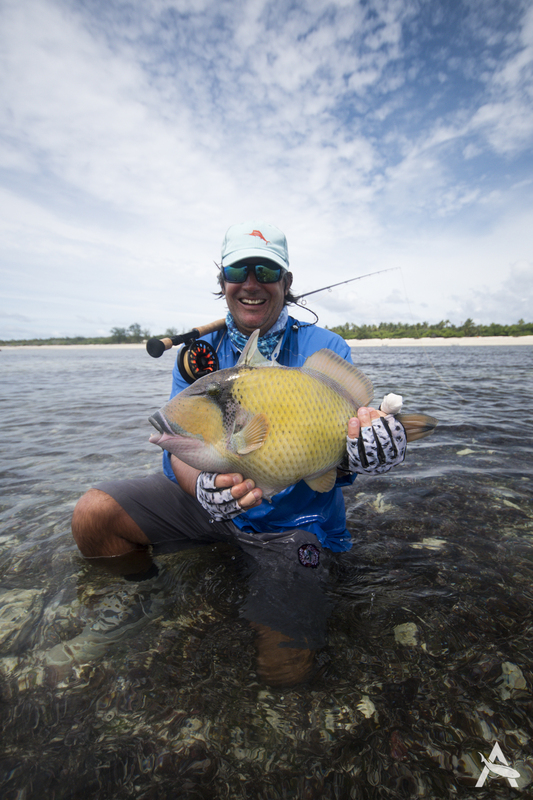 Tom C and Christian dC both ticked the Triggerfish box, with Christian completing a “Flats Slam + 1” comprising of a GT, Bonefish, Moustache Triggerfish and a big Dogtooth Tuna. 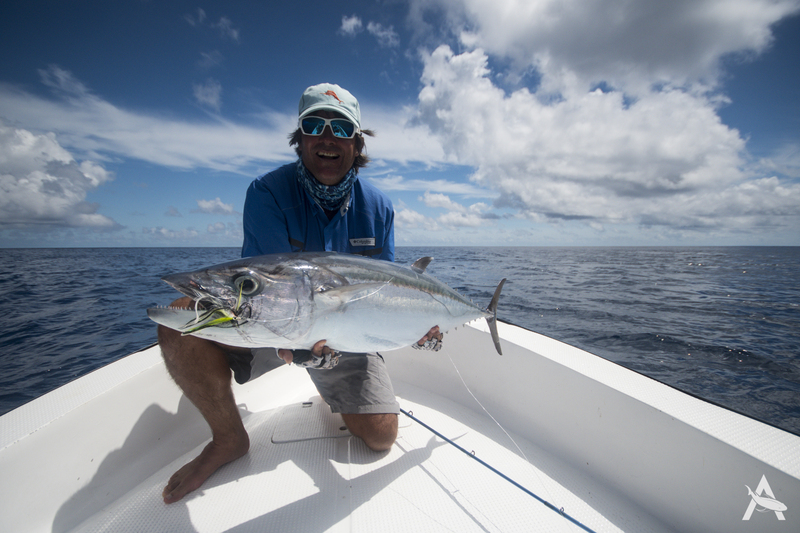 A great end to a fantastic week! 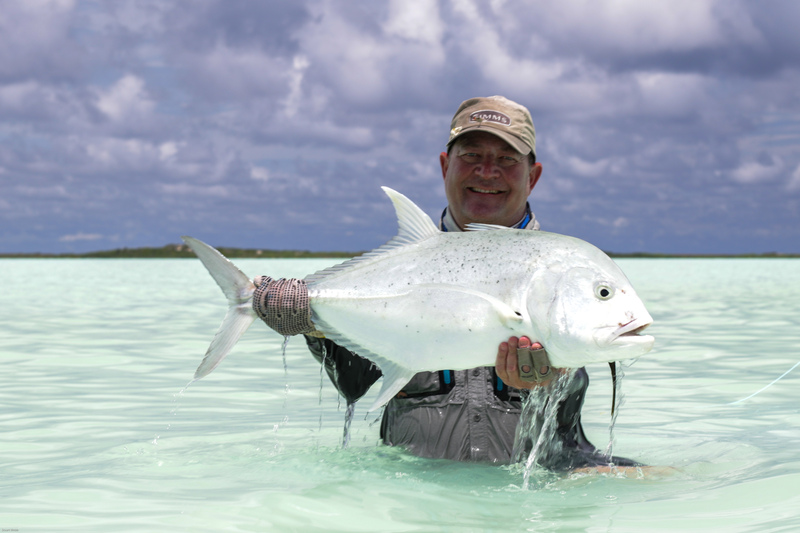 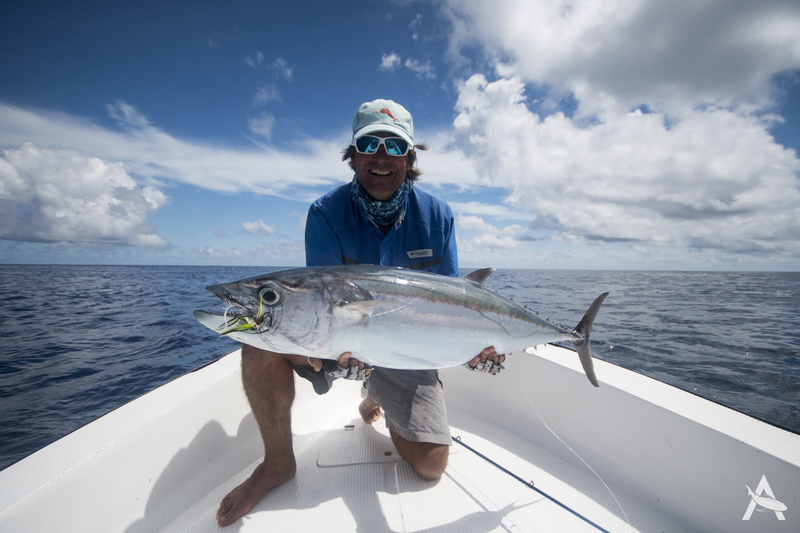 Find out more about the Fishing adventures at Astove.